This business showcase is the perfect opportunity to check out all the wonderful products and services available to you right here in Manchester! Sample food from local restaurants and free fitness screenings, along with much more! Members and non-members alike are encouraged to reserve a table and show off their products and/or services to the community. Prices vary on table size and location, but attendance to the event is absolutely free. Table reservations are made on a first-come, first-serve basis. Contact Amy for more information. The Annual Meeting is our chance to reflect on the Chamber's triumphs over the past year as well as what powerful changes and actions we plan to make in the days to come. This is also a fantastic opportunity to appreciate our Executive Committee, Board of Directors, and Ex-Officio members that guide us throughout the year. 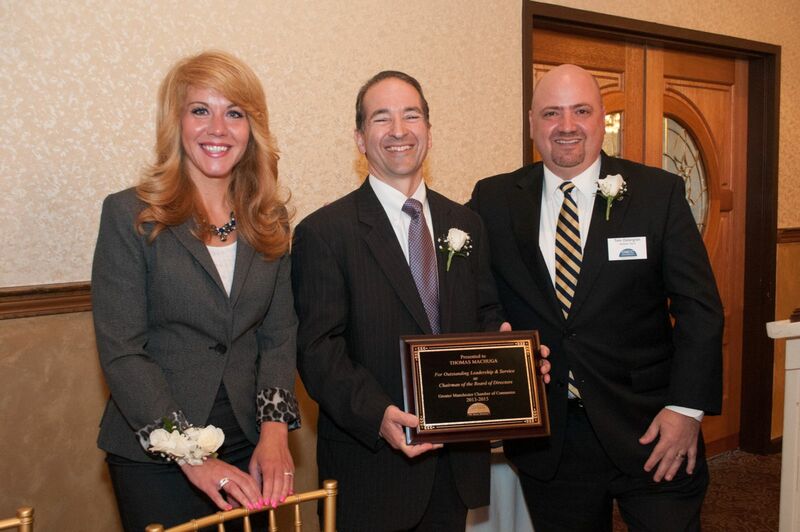 The Ambassador of the Year is honored for their commitment to the Chamber and its membership, and the Community Achievement Award is given to a special individual as gratitude for all they do to help make Manchester a better place to live, work, and do business. All are invited to attend. 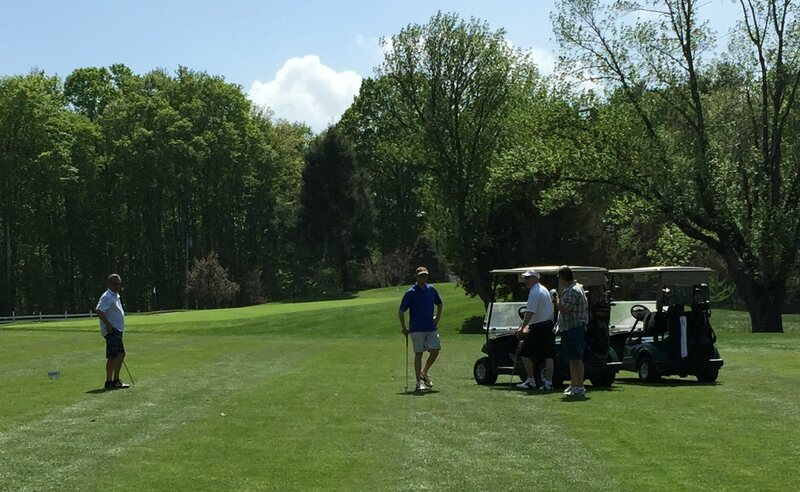 The Chamber's Annual Golf Tournament held at Manchester Country Club offers members a great day on the links. This fundraiser for the Chamber is open to members, their clients, vendors, friends, and employees. Ask anyone who's joined us on the green - whether you play golf or volunteer for the day, you'll have a great time! If you're not a golfer, consider volunteering, donating to the post-dinner raffle, or one of the many sponsorship opportunities available for the day. Contact Amy for more information. Contact Lisa if you wish to donate towards the raffle. Enjoy samples from Manchester restaurants and vote for your favorite dish in this local edition of popular TV cooking shows such as Iron Chef. 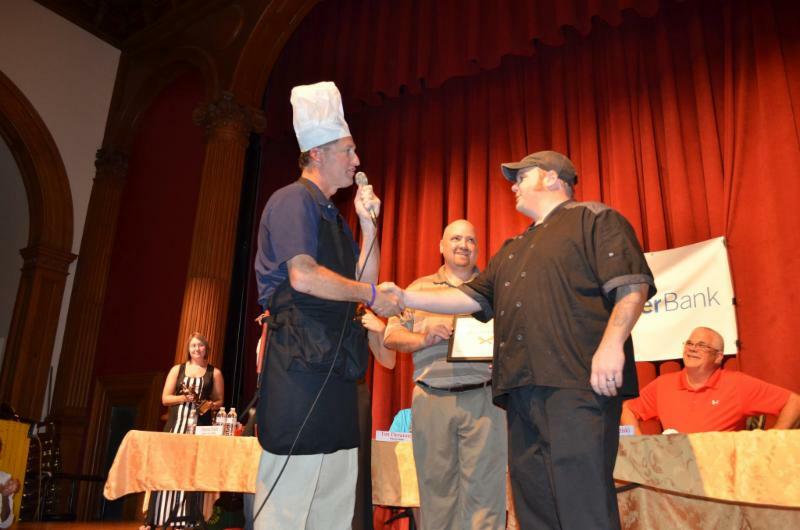 In its first year, the Chef's Challenge brought five competitors and over 150 people. 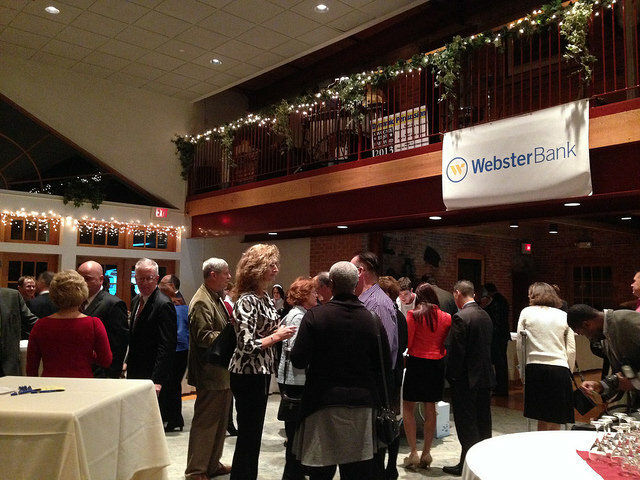 In its fifth, we had nine competing restaurants and well over 200 people in attendance to see who took home the glory! Contact us if you are a restaurant looking to participate. A fabulous night out with dinner, cocktails, door prizes, and a chance to bid on many amazing prize packages to make this a memorable evening out in the early winter. Formerly known as our "Dinner Dance" or gala, our winter fundraiser has evolved over the past few years, each iteration bringing fresh new ideas such as chocolate and wine tastings and a silent auction in addition to the door prizes given away to lucky guests. Our "Big Night Out" is sure to surprise you again and again - be sure to keep a look out for what's new this year. Contact Amy for sponsorship opportunities. Contact Lisa with ideas for donating towards the auction..
Every year, the Chamber staff takes care to show their appreciation for their members by inviting each and every one by mail to a free, delightful luncheon supplied with donated foods from local member restaurants. The fact that this celebration falls alongside the holidays is simply a happy accident! 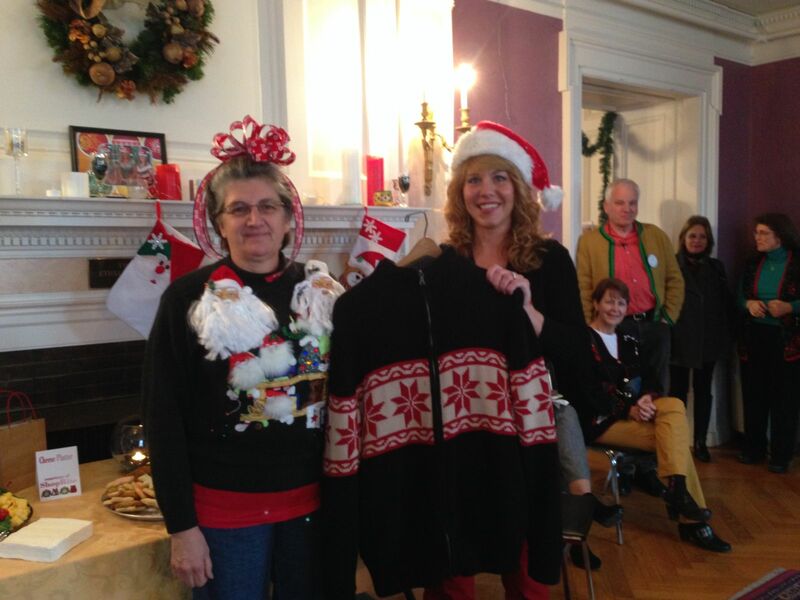 In years past, we have given out fun prizes and held "ugliest sweater" competitions. In addition, we have also taken donations to local non-profits in the area, such as MACC Charities and The Veterans Support Foundation. 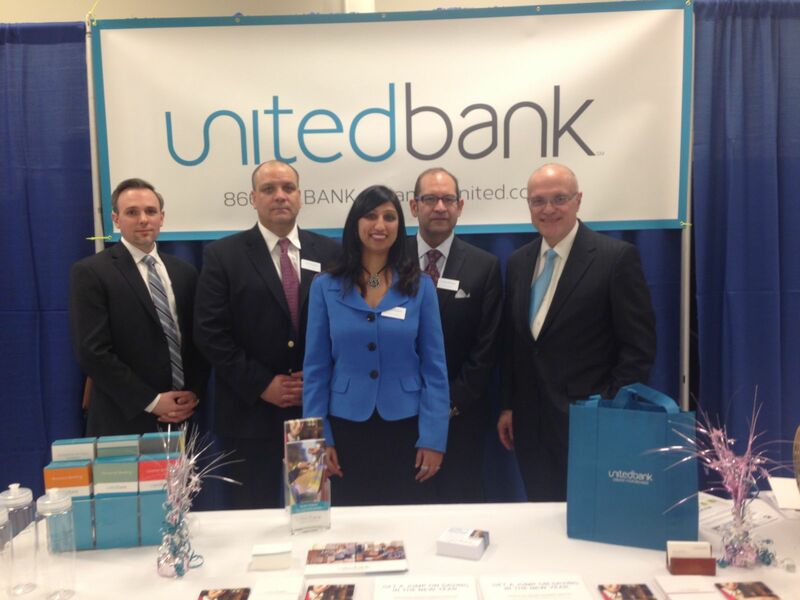 See what's in store for this year - after all, it's all about YOU, the member!